Fremont Certified. PRICE DROP FROM $55,000. Heated Leather Seats, Back-Up Camera, 4x4, Turbo Charged, Premium Sound System SEE MORE! 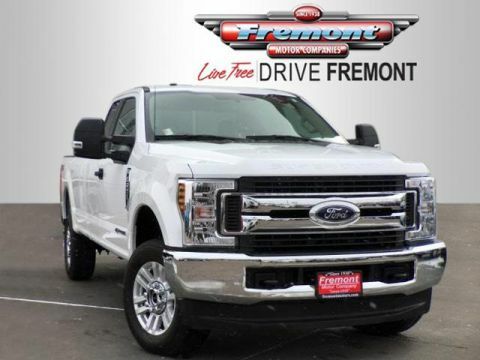 Leather Seats, 4x4, Back-Up Camera, Premium Sound System, Satellite Radio, iPod/MP3 Input, Onboard Communications System, Trailer Hitch, Aluminum Wheels, Dual Zone A/C, WiFi Hotspot, Smart Device Integration, Heated Leather Seats. MP3 Player, Keyless Entry, Privacy Glass, Steering Wheel Controls, Heated Mirrors. 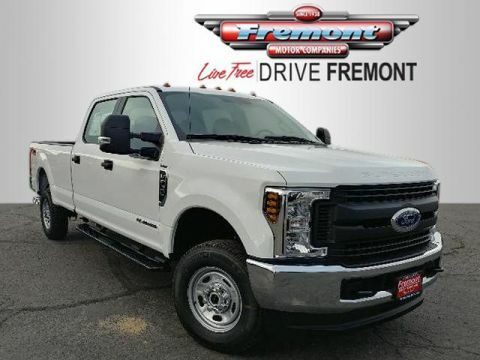 ENGINE: 6.7L 4V OHV POWER STROKE V8 TURBO DIESEL B20 4 valve OHV, manual push-button engine-exhaust braking and intelligent oil-life monitor, 34 Gallon Fuel Tank, Extra Heavy-Duty 220 Amp Alternator, 3.31 Axle Ratio, Dual 78-AH 750 CCA Batteries, LARIAT VALUE PACKAGE Easy Entry/Exit Memory Driver's Seat Feature, PowerScope Trailer Tow Mirrors w/Memory, Remote Start System, Power Heated/Cooled Passenger Seat, LED Box Lighting, LED Center High-Mounted Stop Lamp (CHMSL), Power Heated/Cooled Driver Seat w/Memory, Memory Power-Adjustable Pedals, ELECTRONIC-LOCKING W/3.55 AXLE RATIO, TIRES: LT275/70RX18E OWL Automatic Transmission (4) LT275/70Rx18E BSW Automatic Transmission spare tire, TRANSMISSION: TORQSHIFT 6-SPEED AUTOMATIC (6R140), SelectShift. 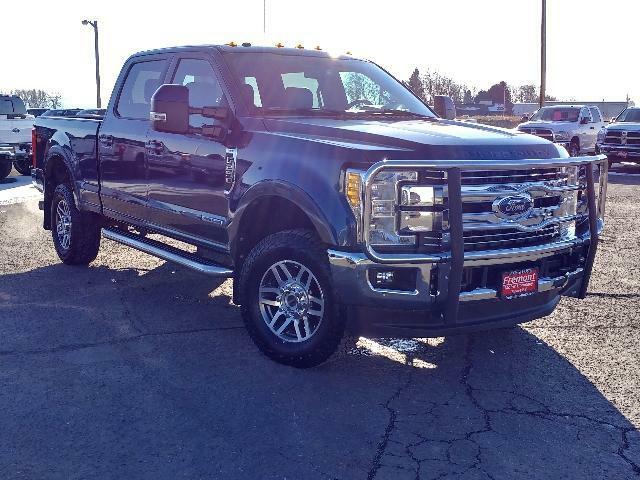 Ford Lariat with Blue Jeans Metallic exterior and Black interior features a 8 Cylinder Engine with 440 HP at 2800 RPM*.